The issue of environment sustainability is evergreen, in recent years it intensify as a result of a greater awareness of the global population on the importance of developing a sustainable economic and social growth. Universiti Teknologi Malaysia (UTM) has been championing the issue of sustainability in Malaysia. UTM currently actively doing research on this issue and has been collaborating with big global names such as MIT. 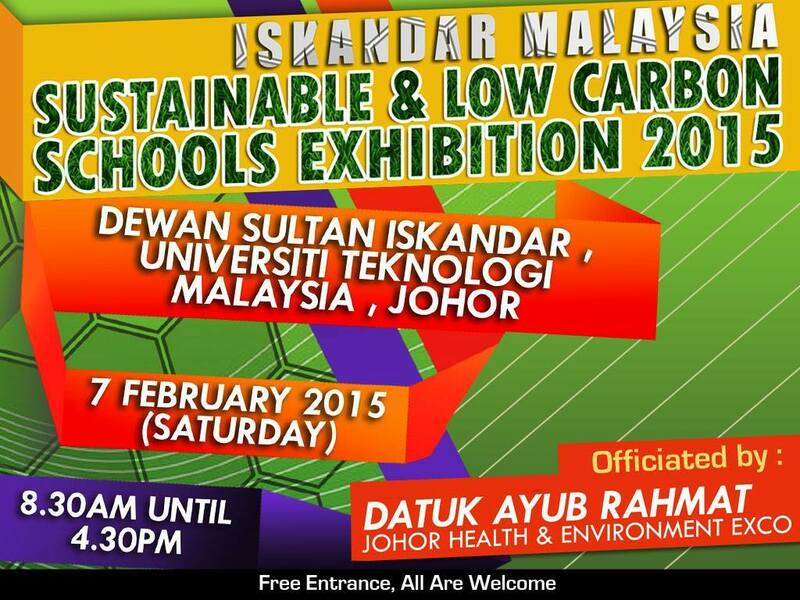 On the 7th February 2015 UTM will host an exhibition called Iskandar Malaysia Sustainable & Low Carbon Schools Exhibition 2015 which will be open to public with free entrance. The one day exhibition will start at 8.30 am and officiated by Johor Health and Environment Exco, Datuk Ayub Rahmat. The event is expected to end at 4.30 pm. This exhibition will display various step that have been done especially in Johor bahru on how schools implement the sustainability development. The event also will be a platform to various party to participate in the sustainable development effort.